Anyway I was featured in Dresscode Magazine, you can see the screenshot on my featured page here. Such a cute costume! 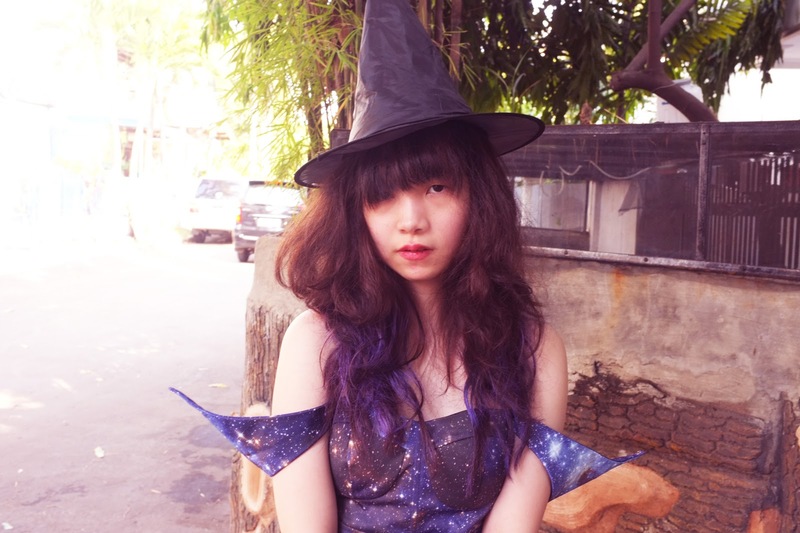 I love the way you used a galaxy print dress in a witch costume. && also I can't believe you think you're fat. Comments like these make me not want to read anymore, even though I like your blog. and you are far from fat! 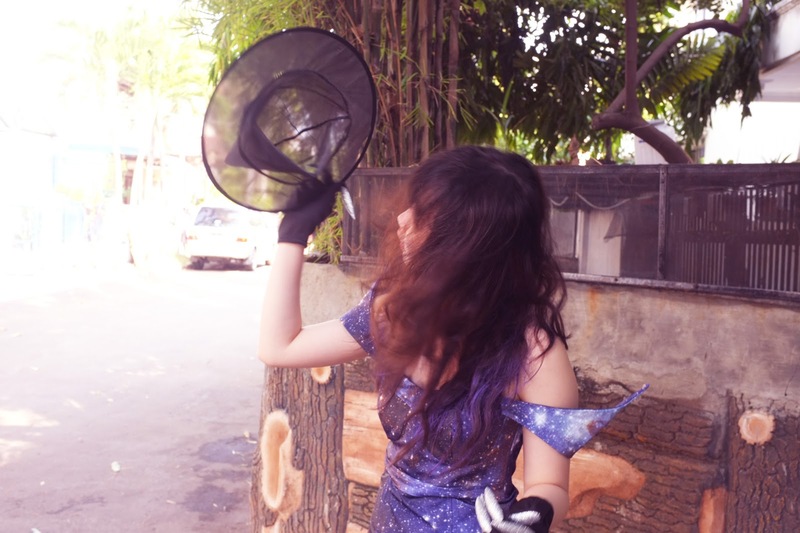 Super lovely dress dear! where'd you got the dress from? this is such a cute costume! THAT DRESS IS GORGEOUSS! I really like it! Great costume! The food looks so delicious! Great disguise! You look beautiful! The food looks delicious! Looks like you had a great Halloween. I wish Australia was big on Halloween like America is! Great costume! Love the unique dress! i love your dress .. i follow you!! The galaxy print looks amazing. 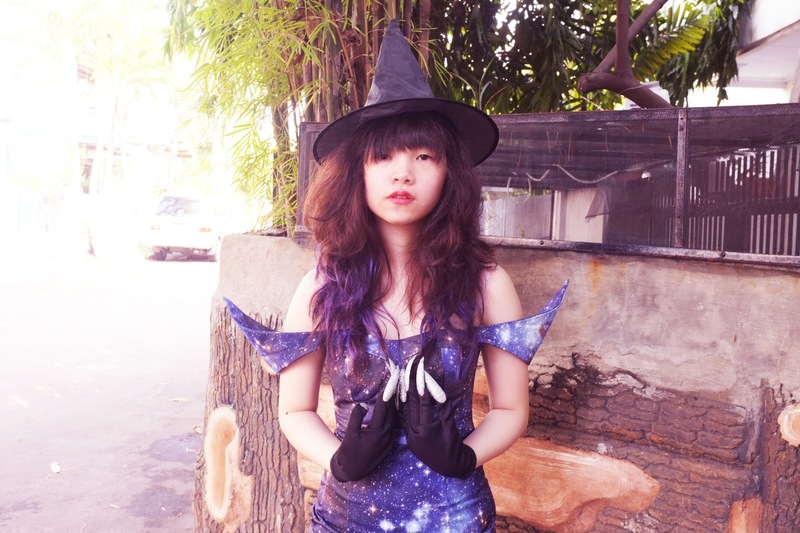 Lovely costume, very original and cute! So cute your Halloween costume! unfortunately, I didn't celebrate it. 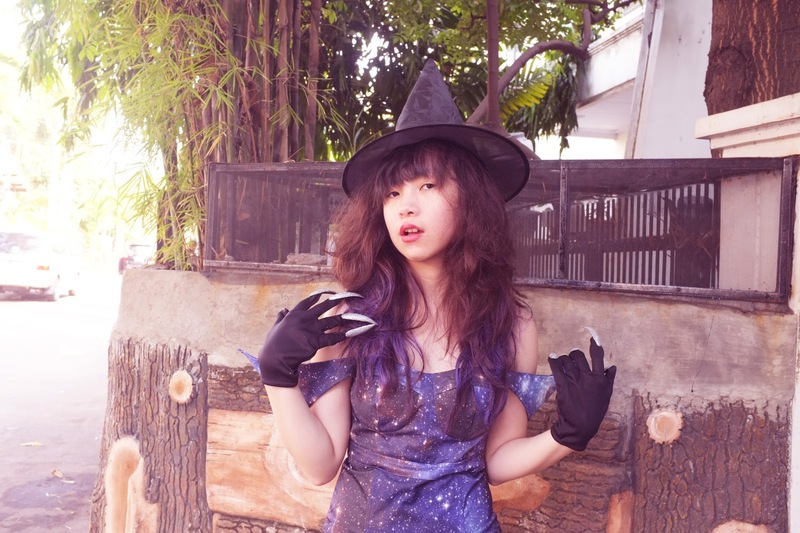 Great costume, you look like a pretty witch. love your outfit! 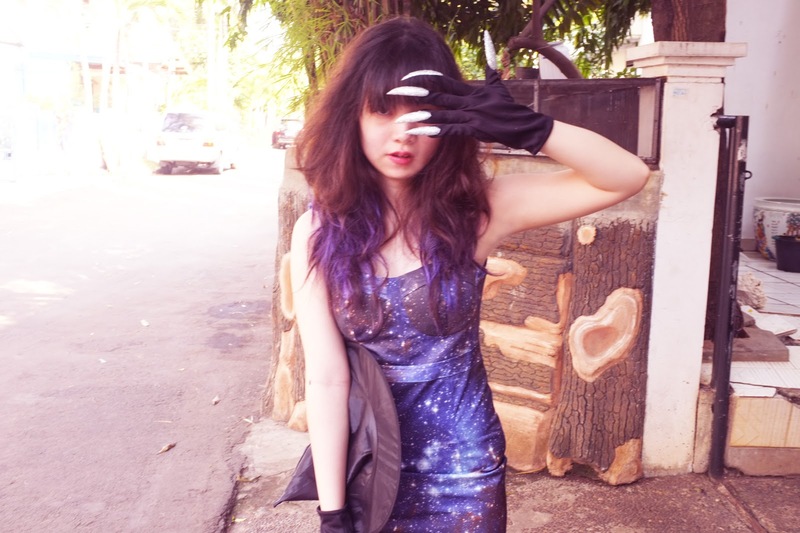 the galaxy dress looks amazing on you! 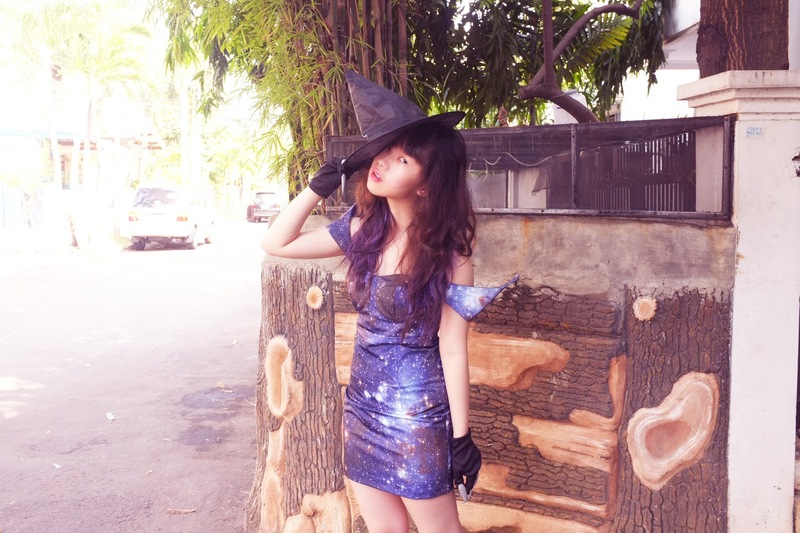 love your galaxy dress !